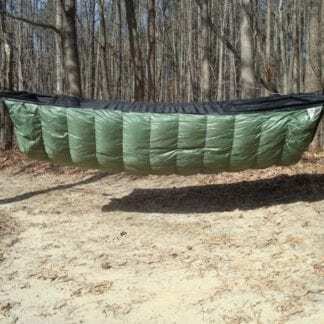 Conservatively rated to 20°F (-7° C) the Hudson River Quilt can be used either as a top quilt (in a hammock or on the ground) or as a hammock under quilt (JRB Suspension System sold separately). 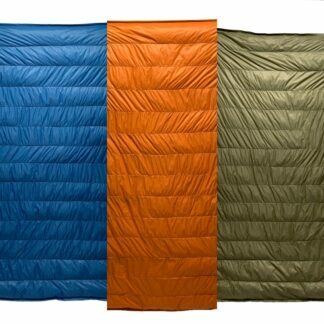 Jacks R Better Quilts are lighter than a similarly rated sleeping bag. No squirming around to get in and out. Easy to vent for temperature control. 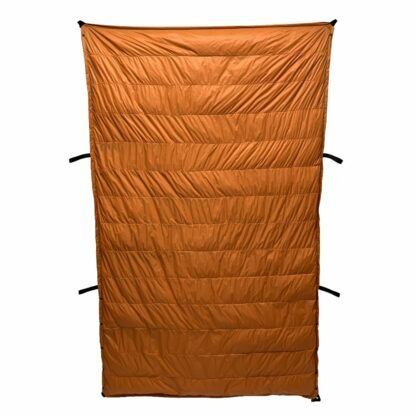 The Hudson River Quilt is rated to 20 degrees Fahrenheit and can be use as a top quilt or as an under quilt (attachment instructions) for camping hammocks. 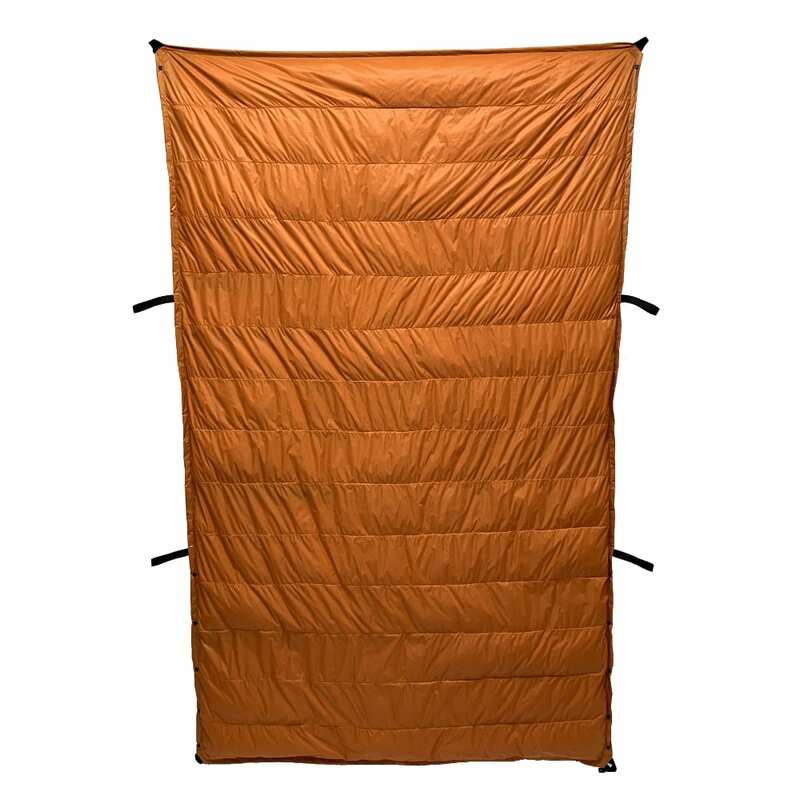 For individuals over 5 feet 10 inches tall we offer a long version (86″ in length). Activ-dri down™ – Activ-dri™ is a hydrophobic down treatment that keeps the down drier, while having no adverse effects on loft, fill power, or warmth retention. I am now in over 500 miles on the PCT with my Hudson River and can’t say enough about how good it has been. I carry a down jacket and pants to increase my temp level, but, have never needed it with your quilt. Coldest night so far was 27.6 F and I was toasty! My tent is a single wall and twice I have had quite a lot of condensation (had it buttoned up do to rain/snow). Both times the outer layer got damp, air dryed in less than 30 min and I never got cold. Thanks a bunch for a great product! 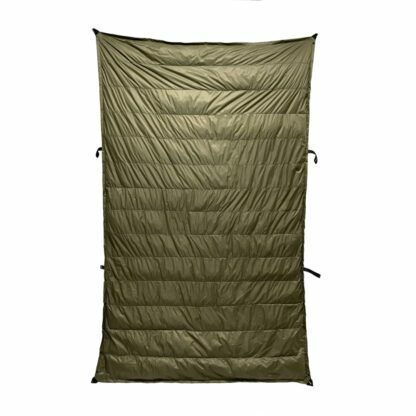 I bought this last year to use as an underquilt for my then Hennessey worked great (now I have a Warbonnet Blackbird 1.1 DBL). I live in the south Texas to be exact and it rarely gets below 20 F here. The coldest I have used it so far was down to a wet cool 30 over the Thanksgiving break last year at Lake Texoma. I was very toasty and didn’t want to get out of my hammock lol. I’ve had my quilt about 3 years now and used it in a wide range of conditions. It’s my go to quilt for nearly any temperature in new england. Temps can vary so much here that I always like to have buffer in case of altitude variables or sudden weather. Quilts are great for this. Warmer temps (40-60F) it vents so easily that if you’re too warm, there’s no problem. Ive found it works well past 20F, so that covers 3.5+ seasons for me. Coldest night so far was in the Adirondacks in NY — -10F! I layered inside the bag, and was a little chilly, but I was able to sleep just fine! I cannot recommend this quilt highly enough. 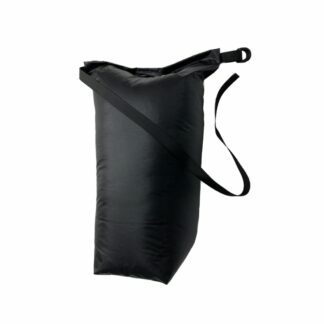 It is incredibly lightweight, takes up almost no room in my pack, and provides a very comfortable night of sleep on the trail. I’ve taken it down to temperatures well below 40F, and have been completely warm. I’ve slept with it in the low 20’s with pants, socks, and a long sleeve shirt and been perfectly comfortable. This is my go to quilt. This is the first product I have ever ordered from JRB. First this quilt is phenomenal!! Warm and ultralight. I couldn’t believe that it was going to fit in the provided stuff sack but it did with ease. JRB has extremely fast processing and shipping. I ordered it on a Saturday and was opening the box on the very next Wednesday. Online shopping is always a risk, I always assume that I am going to be disappointed. JRB far exceeded my expectations. I will be telling all of my friends and family about JRB and their products. I took a long HR top quilt and a greylock 3 down to a wet 21 degrees in the Sierra Nevada. I cinched up the footbox as tight as I could and was pleasantly surprised it kept me and my feet warm. I did have a down jacket on, but my lower half was warm as well. I used a section of reflectex under my feet and all was good. One small added benefit of the HR top quilt is being able to open the foot box completely and string it out on a clothesline to dry/air out back at home. I have owned my JRB Hudson River Quilt for a number of months now and I enjoy it more than my other 20 degree top quilt from an unnamed competitor to JRB. Not only does this keep me toasty warm when hanging in my Warbonnet Blackbird XLC (used as under quilt) it does double duty when I use it as a top quilt when backpacking and ground dwelling in a tent with my wife, she gets the aforementioned 20 degree competitor quilt. Extremely versatile, well constructed, lightweight, but most of all warm and comfortable. Thanks for the great product! I bought this top quilt originally for UL backpacking (ground), but then after researching hammocking more, I decided to give hanging in a tree a try. Either way you decide to use it- this quilt is awesome! 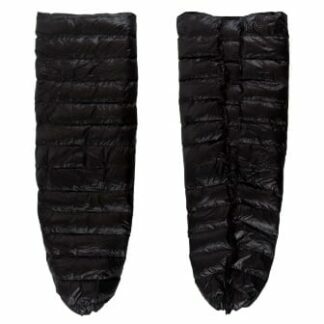 I have used it on several Boy Scout outings and personal trips and was toasty warm every time. The only problem is that everybody wants to use it. Love my Hudson River. So much that I now own a Shenandoah and a Rag Mnt. 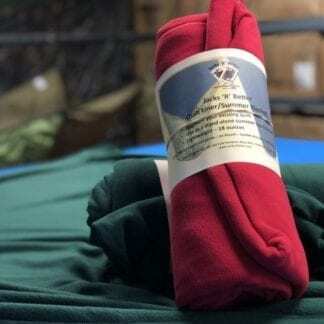 These universal quilts are excellent for having options for multiple family members and weather conditions. 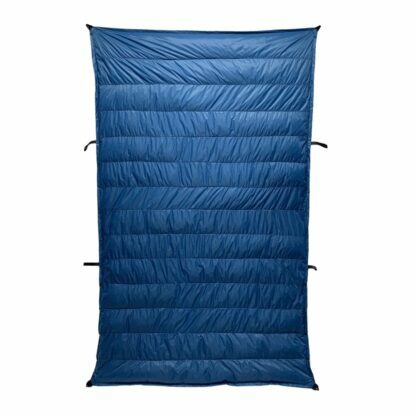 My wife likes the full length quilts as underquilts, even tho shes much shorter than me (I use Greylock 3/4’s) I see zero downsides to this universal style, Its so much better to have the option to use it as a UQ when needed. 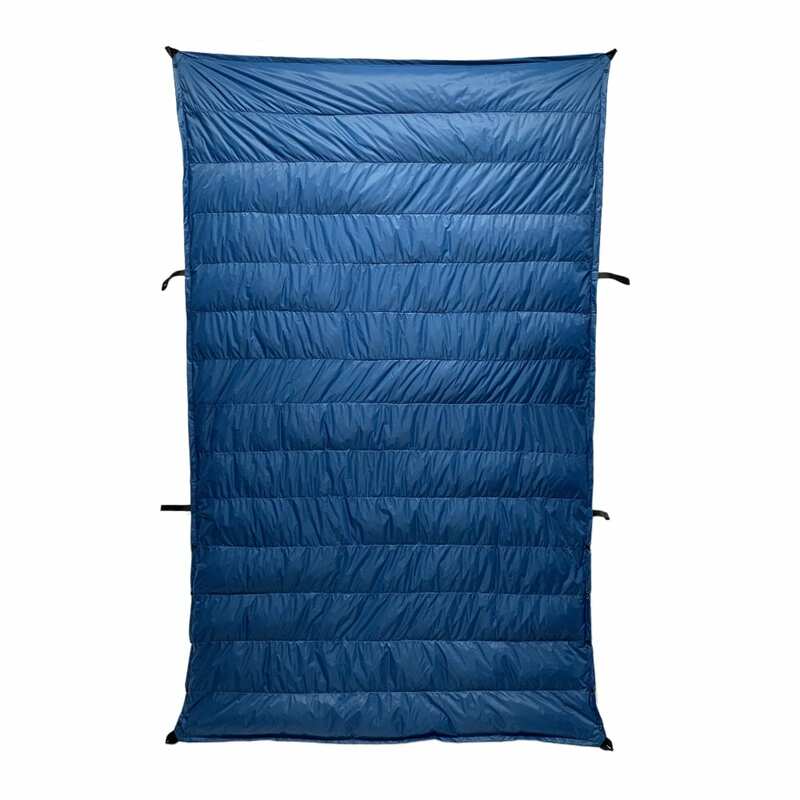 Quilts that don’t let me buy new gear. Because they are light, and they are still in great shape. Please feel free to share this endorsement on your website or however you see fit. I couldn’t be more happy. I have used this quilt down to 15 degrees and can vouch that I was comfortably warm. 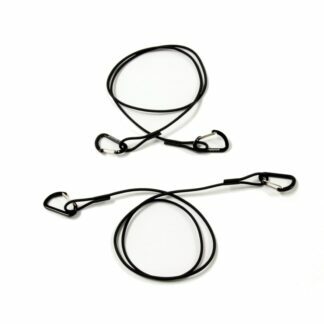 Jacks R Better make a great product and very fast shipping. As prior service Army officers, I am happy to do business with them!